Is your hair more drab than fab? Then we are coming to the rescue! 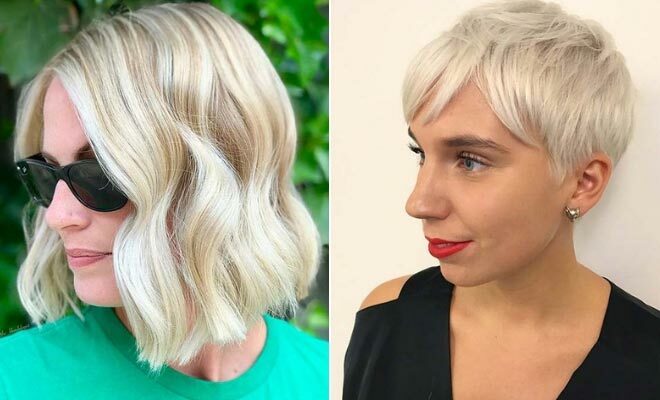 We have found 23 amazing short blonde hair ideas! 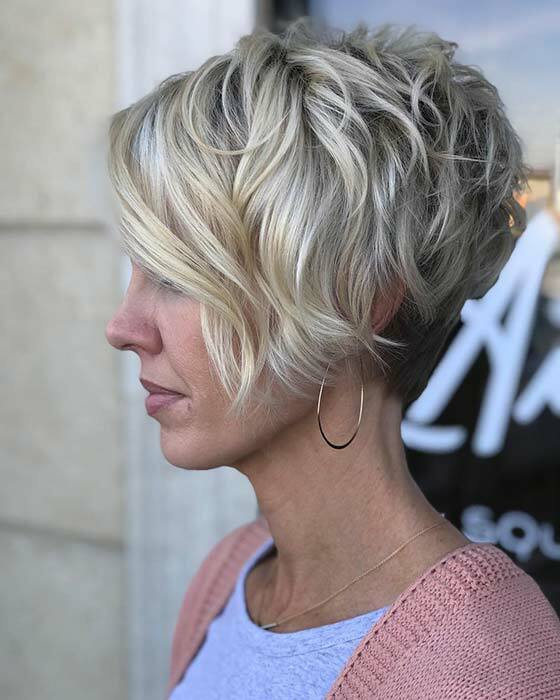 Blonde is a bright and stylish way to lift your hair and a short cut will give new life to your locks. You will find gorgeous bobs, cute pixie cuts, trendsetting short styles and more. What are you waiting for, take a look to find a stunning new hairstyle! We are beginning our list of beautiful hairstyles with this wavy bob. 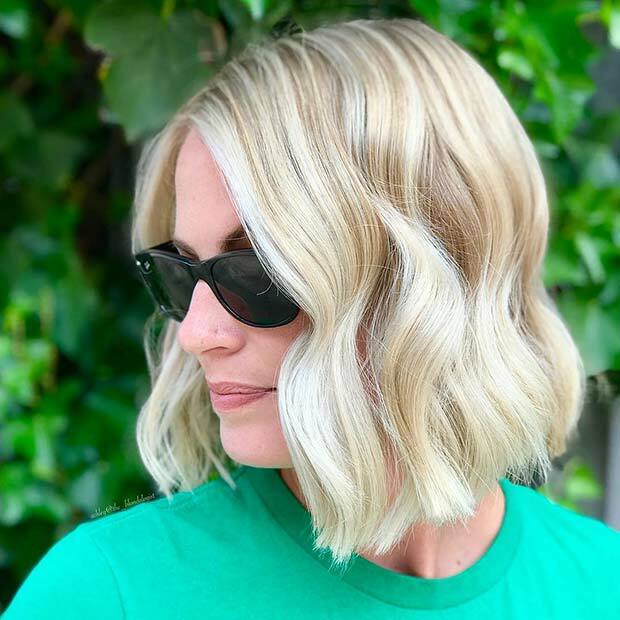 The short bob is a mixture of light and platinum blonde and has a slight wave. This is a gorgeous hair idea that has a vintage glamour look to it. Recreate this style with similar shades of blonde or you can choose darker blonde tones. Give your hair a lift by going for a short, beachy hairstyle like this. The hair has dark roots then blends to blonde and finally light blonde. By using multi shades of blonde with dark roots you get a more natural and sun-kissed look. With hair like this, you can look bright and summery all year long! Our next idea shows how to add a splash of stylish color to your hair. 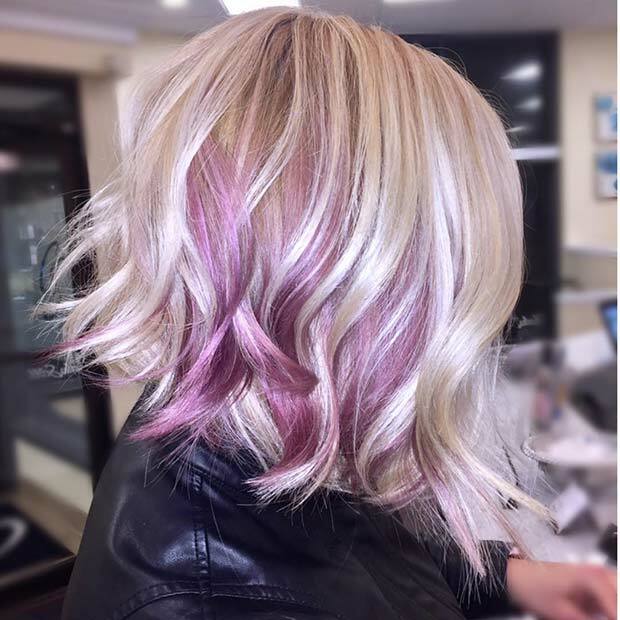 This light blonde bob has a beautiful purple shade starting in the middle of the hair and ending at the tips. It is a trendy hairstyle and you can recreate the purple look or add any other vibrant tone to your hair. When choosing a new blonde shade, you don’t have to go very light. You can choose warmer blondes like in this hairstyle. The very short hair is dark brown and has highlights of warm golden blonde and light blonde. This is a beautiful color combination that can be used on a similar hairstyle to this or a longer bob too. Next, we have a super stylish bob to show you. 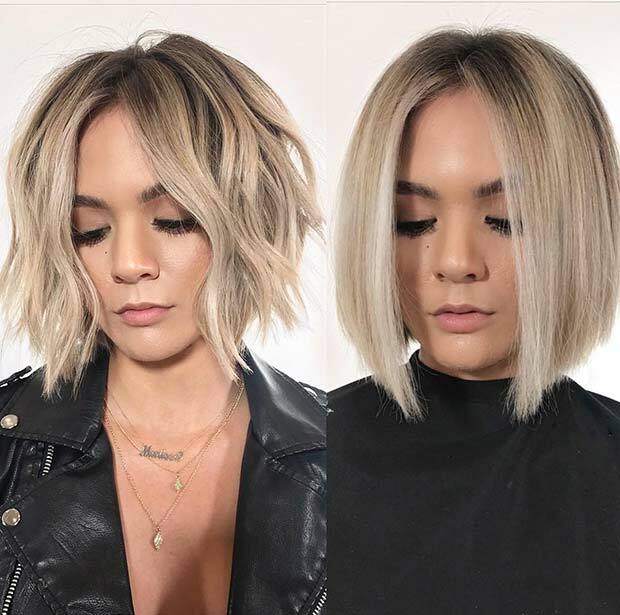 This bob has dark roots with light blonde shades running through the rest of the hair. The cut is blunt and trendy while the style is sleek and straight. These features create a modern and gorgeous hairstyle that is perfect for ladies who want a fresh and up-to-date look. Looking for a bold, new hairstyle? Then you need to check out this next pick. Here we have a platinum blonde pixie cut. Pixie haircuts are cute and loved by celebrities such as Anna Hathaway, Jennifer Lawrence and more. 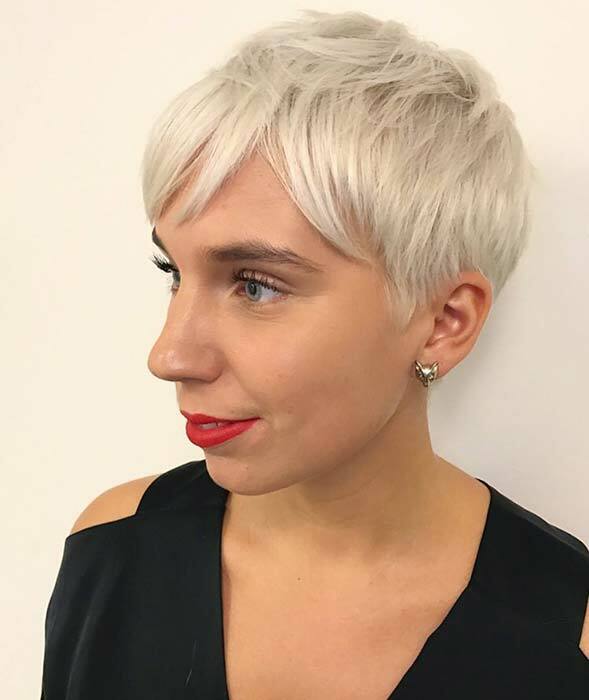 Go for a statement platinum pixie look or try a warmer blonde. Either way, you will have stylishly short hair. If you want to try blonde but don’t want to go all out, you can consider a hairstyle like this one. 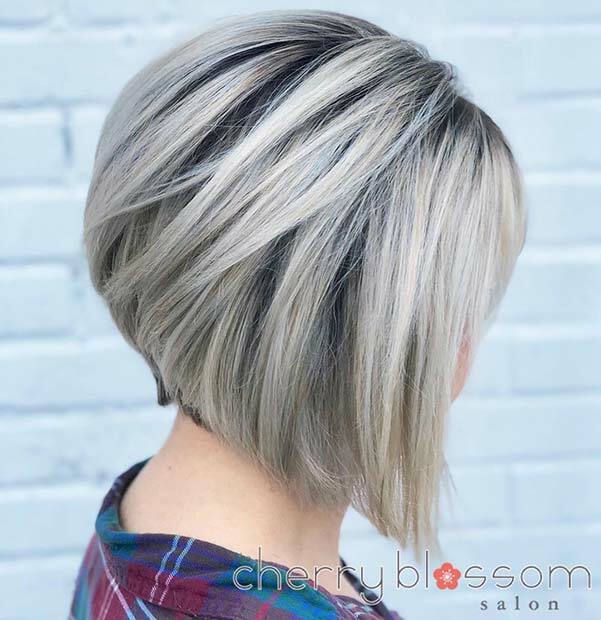 This short bob has dark root color and midway the hair gradually starts to turn blonde. The blonde continues until the tips are a bright shade. A blend like this is stylish and allows you to add color without being too dramatic. You can recreate this look with warmer blonde too. 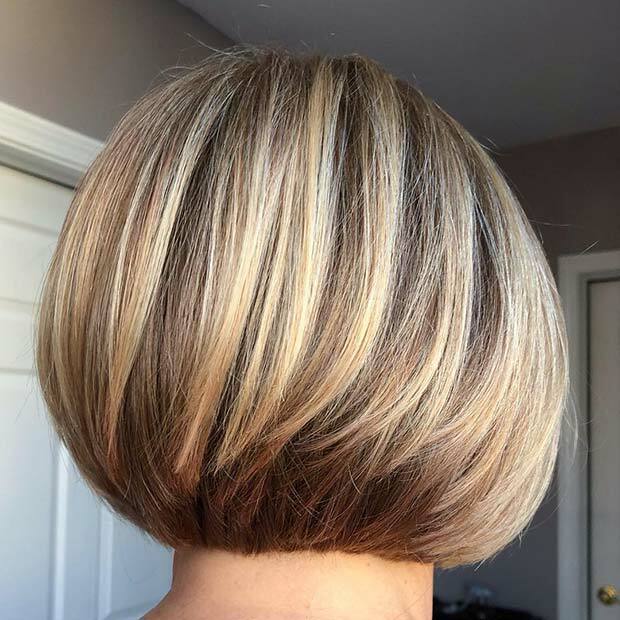 Our next idea is a trendy graduated bob. 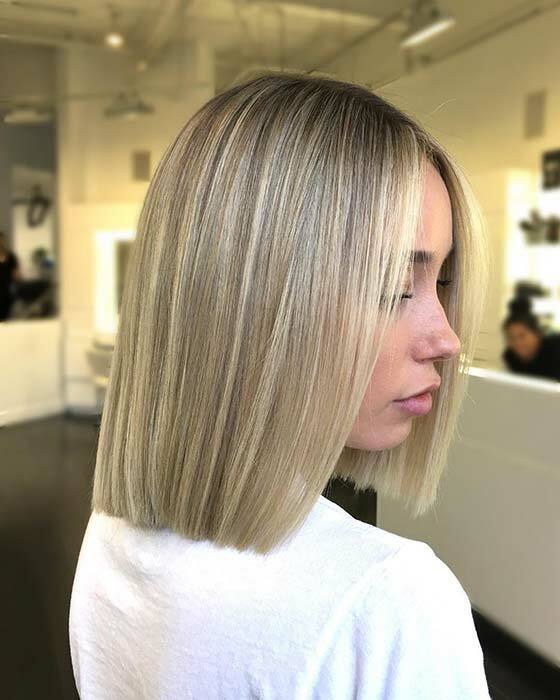 A graduated bob is short hair that has been cut at an angle and at the back of the hair there are layers, which give the hairstyle its shape. Here is a gorgeous example. We love this look because it is a stylish icy blonde shade which makes the finished hairstyle look modern. Hair like this will look amazing on anyone! The next hairstyle we have to show you is this cute short bob. This one has dark root color and then blends into a soft, pretty blonde. As you can see, short hair like this looks gorgeous straight and wavy. 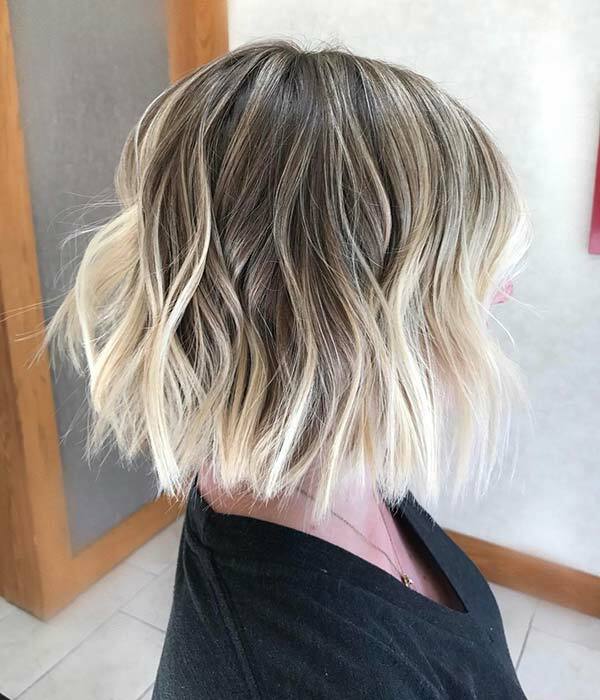 When the bob is straight it looks sleek and trendy and when wavy, it looks textured and edgy. It proves that short hair can be versatile just like long hair, so don’t be afraid to have your hair cut! 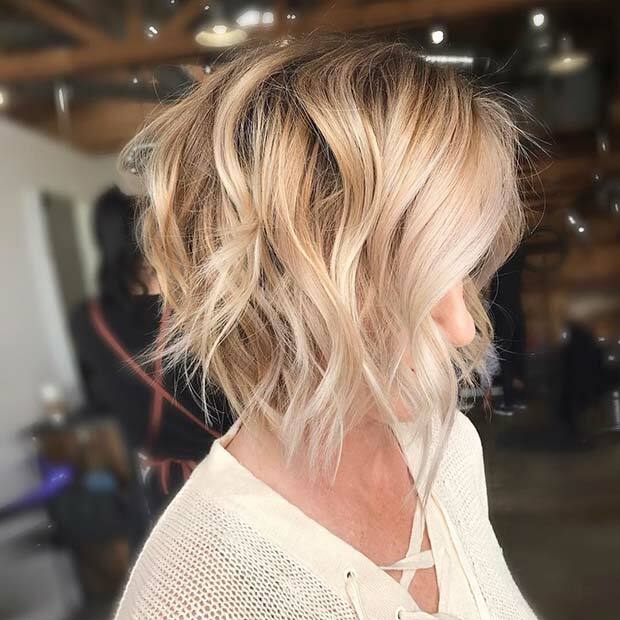 If you love the graduated short hairstyles, you may like this hair idea too. The hair is textured and curly. It is a lot shorter at the back and then longer at the front. This is a trendy look that is easy to wear and style. You can have a light blonde color like featured or opt for a darker blonde shade.